2 floating weeks. Enjoy the great outdoors during winter season! Buyer May Receive A Title Fee Credit, Inquire For Details! All offers Considered! Outdoor lovers' delight! Yearly usage in a floating, spring/fall season week! Price is negotiable! Great resort with many luxurious amenities! Floating spring/fall season week! Inquire for details! Price is Negotiable! Peak 7! 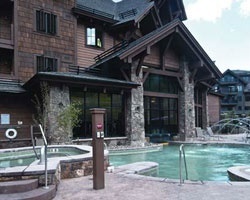 Beautiful and luxurious Breckenridge resort! Highly motivated!Price Negotiable. Odd Year Ownership. Discover all the natural beauty of the outdoors! Buyer May Receive A Title Fee Credit, Inquire For Details! 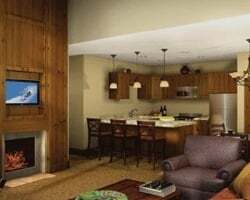 Choose your week to enjoy this lovely resort in Breckenridge! Floating odd year spring/ fall usage includes Week 46! Price negotiable. Inquire today! Willing to Consider any and All Offers! Spring/ Fall season week 18 with option to float! Make an offer today! Buyer may receive a title fee credit! 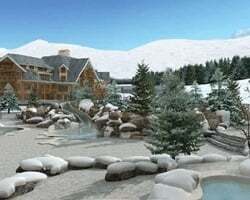 Enjoy any week during winter season week at this ski in/ ski out resort! Buyer May Receive A Title Fee Credit, Inquire For Details! Eager Seller! Price negotiable!.The Perfect couples getaway! Ideal Hideaway with Breathe taking Views and all the comforts of home! Winter season in breathtaking Breckenridge! Great resort with luxurious amenities!!! Even year summer week! Buyer may receive a title fee credit, inquire for details!! Beautiful location with easy access to outdoor activities! Summer week 33! Buyer may receive a title fee credit, inquire for details! Beautiful location to explore the great outdoors! Summer week 27! Buyer may receive a title fee credit, inquire for details! Enjoy many indoor and outdoor activities onsite and nearby! Many perks available! Buyer may receive a title fee credit. Gorgeous mountain retreat for outdoor lovers! Winter plus week 8! Buyer may receive a title fee credit, inquire for details! Enjoy this luxurious resort and the local attractions! Floating, summer season week! Buyer may receive a title fee credit, inquire for details! Have an amazing time at this top-shelf mountain retreat! Odd year usage in a floating week during the winter plus season! Inquire for details!! Escape to scenic Breckenridge every year! Enjoy a week during spring/fall season! Buyer may receive a title fee credit, inquire for details! Highly motivated seller! Price Negotiable! 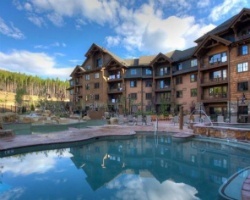 Floating winter season week at this breathtaking Breckenridge resort!! Enjoy this gorgeous mountain lodge! Pet friendly Location. Perfect Summer getaway. Motivated Seller!! all offers considered! Fantastic mountain lodge in an annual floating summer season week! All reasonable offers Considered. Inquire now! New Price for this Gorgeous mountain retreat for outdoor lovers! Yearly usage in a floating week in the summer season! Make an offer! Enjoy many indoor & outdoor activities available onsite and nearby! Buyer may receive a title fee credit, inquire for details! Enjoy ski or hiking trips to Breckenridge each year in a floating spring/ fall season week! Buyer may receive a title fee credit, inquire for details!